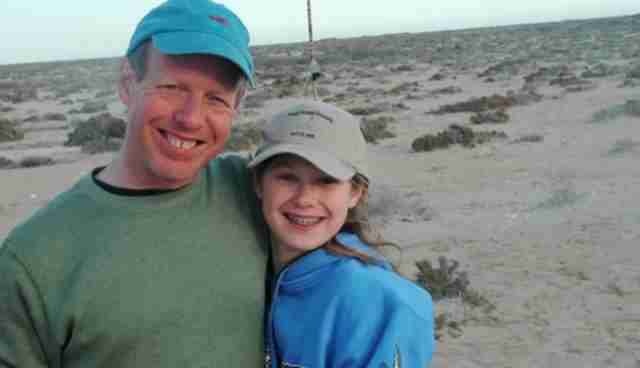 When Josh Horwitz took his daughter to a whale sanctuary seven years ago, he couldn't know what lay ahead. It was 2007, and they'd traveled to the last pristine gray whale lagoon on the Pacific Coast of Baja, Mexico. "There's a unique phenomenon that recurs every winter in this lagoon, where mother whales bring their new calves to within feet of the small boats filled with human whale-watchers. You can actually reach out and touch these whales -- even stroke the baleen brushes in their mouths. The whales obviously enjoy the tactile contact, or they wouldn't invite it," he explained in an exclusive interview for Mothering Nature. But he wasn't expecting what came next. "The experience of that kind of contact with wild whales is just indescribable," he says. "Seeing my daughter's response to these whales --particularly in the presence of mother whales and their calves -- convinced me that I needed to write a book about this generation of imperiled whales." Horwitz spent the next seven years of his life researching and writing his just released (July 1) and highly acclaimed book War of the Whales (named the Best Non-Fiction Book of July by Amazon). It's a gripping, untold story about two men who faced down the most powerful Navy in the world. Despite knowing next to nothing about whales at that time, when he learned about the US Navy's unchecked use of earsplitting sonar in the oceans and its hellish impact on whales -- impacts that lead to mass strandings and deaths around the world -- he knew he had to keep going. "It changes you in ways that are impossible to undo," Horwitz says. "Because of this, for me, this book is only partly about naval sonar and whales. At heart it addresses the question: What makes an effective change agent?" 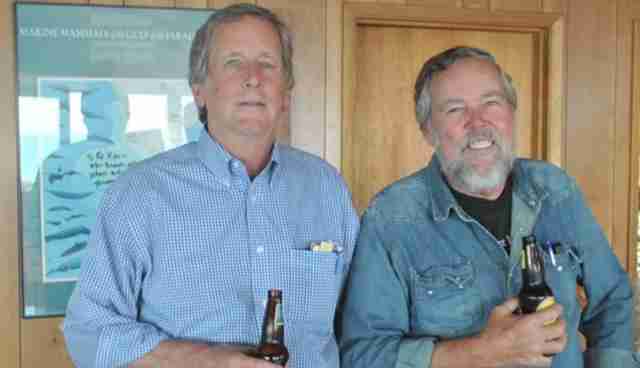 Two of the heroes described in the book who took on the United States Navy -- Dr. Ken Balcomb, a whale biologist and former navy lieutenant, and Joel Reynolds, a lawyer with the Natural Resources Defense Council -- share the same fierce tenacity. Further, says Horwitz, "The subtitle of my book, War of the Whales: A True Story could easily have been A Love Story. My book narrates the clash between two cultures -- the military and conservationists -- both of whom cared deeply about whales and the oceans, but for fundamentally different reason. They all were touched in different ways by their powerful encounters with these mysterious animals." "The Navy had become enthralled by the notion of reverse engineering cetacean biosonar so they could apply that biotechnology to improving their submarine detection sonar. In pursuit of this Holy Grail, the Navy essentially created -- and certainly became the primary patron of -- the scientific discipline of marine mammalogy. But what decades of Navy-funded research have taught us is that no matter how deeply we delve into their biology and neurology and behavior, their true natures remain mysterious and elusive." "Ironically, it was some of those the early whale scientists -- many of them Navy-funded -- who grew so close to their research subjects that they flipped sides and helped catalyze the Save the Whales movement. People like John Lilly, who was one of the chief architects of the Navy's Marine Mammal Research Program, who eventually liberated his research subjects and helped elevate whales to become icons of the New Age and counterculture. Paul Spong walked away from his captive orca research at the Vancouver Aquarium -- actually, he was fired for expressing the notion that orcas didn't belong in captive setting -- to set up a wild orca lab and to convince the founders of Greenpeace to expand their anti-nuclear agenda to include interdicting Russian whaling vessels. And Roger Payne, who had previously conducted Navy-funded research into whether owls echo-located (it turned out that they don't) decided to take his evidence of whale songs directly to the mass public by having them pressed into a long-playing album which became one of the most popular releases of 1970." "So, yes, these experiences of empathy can create heroes," says Horwitz, "but sometimes unlikely ones. Ken Balcomb (one of the heroes of the book) didn't consider himself a whale hugger, but he was passionate in his curiosity about the elusive and mysterious beaked whales. But when his research field and subjects was destroyed by a navy sonar exercises in the Bahamas, he resolved to compel the Navy to investigate and report on the incident, regardless of the consequences to his career, or his marriage to his research partner." "And yes, what makes him an extraordinary change agent is his perseverance in protecting whales from Navy sonar, and in winning endangered species protections for the Southern Community of killer whales in Puget Sound, which he has been surveying and studying every summer since 1976 -- almost all of it self-funded." Then there's Joel Reynolds, Western Director and Senior Attorney with the Natural Resources Defense Council, who, together with Balcomb, held the Navy accountable for the needless, brutal impacts that sonar had on wild cetaceans. "I went to law school not because I love the law, but because I hoped to affect for the better people or things that I care about. In other words, law is compelling to me not for its own intellectual challenges but because of what it can accomplish -- for its capacity to redress injustice, protect special places, or stop abuses of power. This is what got me started as a public interest lawyer in 1980, and it's what has kept me going ever since." "I came into contact with whales and other marine mammals indirectly -- not as a focus of study or special interest but as a casualty of avoidable harm caused by human activity. Underwater explosives testing, industrial development, scientific and military testing with high intensity sound in the oceans. I used my legal skills to stop these activities and protect the whales and other marine mammals needlessly harmed by them. As I became more and more immersed in this work over time, my appreciation both for the magnificence of these animals and the need for people to defend them grew. At Laguna San Ignacio -- a World Heritage Site targeted to become the world's largest industrial salt works -- I had the opportunity each winter to come into close contact with Pacific Gray whales: 40 ton, 45-feet long wild animals that have somehow forgiven humans for hunting them almost to extinction." "I became deeply immersed in the problem of human-generated noise in the ocean --one of the most sweeping forms of pollution in terms of geographical scope. The idea of inundating the habitat of these animals with unbearable levels of sound seemed to me so outrageous and so inexcusable that I had to do something about it, and I've been working on it ever since -- now for two decades." Empathy as defined by Dr. Martin Hoffman, in his landmark book Empathy and Moral Development: Implications for Caring and Justice (Cambridge University Press, 2001), is "an affective response more appropriate to another's situation than to one's own." Hoffman is a respected clinical and developmental psychologist at New York University who's spent his career studying social and emotional development, especially the relationship between empathy and moral development. Hoffman told me via email, "I think humans can become extraordinary change agents after having profound empathic responses to injustice. Examples are Harriet Beecher Stowe, Lyndon Johnson, and others whose empathy led to actions that changed laws and societies." But can those same powerful empathic responses be triggered by whales or other animals? Dr. Frans de Waal, author of The Age of Empathy: Nature's Lessons for a Kinder Society (Crown, 2009) and Director of the Living Links Center at the Yerkes Primate Center at Emory University thinks so. What's more, he knows it goes both ways. "Empathy is a general mammalian trait that evolved first of all to care for offspring and to care for friends and cooperators," de Waal explained in an email. "But once in existence, it can also be stimulated by other species, even species quite different from us (even though more typically for fellow mammals than other species). Since it is a powerful driver of altruism and helping behavior, this means that under specific circumstances it also leads to interspecific helping, not just by us but also in the reverse, when dolphins help human swimmers or dogs drag children out of a burning house. This is empathy unbound, a wonderful trait." There's no shortage of compelling evidence that humans have an empathic response to animals, especially mammals, and most especially the large, charismatic mammals like the ones de Waal mentions. But can these empathic responses incite humans to become heroes in much the same way -- perhaps via the exact same neural and emotional routes -- that people like Harriet Beecher Stowe, Martin Luther King Jr. and Gandhi became extraordinary change agents? If so, can the same response create everyday heroes that most of us never hear of, while some, through grace and grit, make a larger impact? When asked if humans have some predilection to profound empathic response that is specific to whales, de Waal said, "It is curious how we have empathy especially with large mammals, like the elephants, dolphins, bears and whales. I am not sure I understand how and why this happens." "I think cetaceans evoke deeper empathy than other creatures because of their accessible intelligence and, by many anecdotal reports, their compassion for their own and human beings. On top of that the cruelty and predation of whales and dolphins is a gut wrenching thing to watch on film or in person. Nevertheless, you see this empathy with primates in Jane Goodall and the late Dian Fossey. You see it with dogs and their owners ubiquitously. Arguably, empathy is the source of PETA." "I think the key to empathic responses relates to two elements: first exposure, i.e. firsthand experience, and second, a general openness to life itself. The latter sounds obvious but in an urbanized world, that is not always present. It is a miracle "out there" (life) and it can transform one's consciousness, especially when people become aware that life itself is exquisitely aware and almost supernaturally connected. Ravens have two hundred distinct calls and sounds. They pass on the visual memory of faces to their offspring of people who have harmed them. Not even humans can do that." "Charismatic species are the entry point to a vastness of intelligence that we, in the West at least, consigned to the realm of inferiority. What we now know is that we actually know very little about what is happening in the world of birds, animals, reptiles, cetaceans, canids, fish, etc." "It's a good one question. I would say it is already happening. But it is not reported on, or reported that way. The fierce opposition to Keystone XL is very much about the sanctity of all living things. The focus on Tar Sands and pipelines is the story, but the motive is far reaching. And I would say it informs the movement I wrote about (in Blessed Unrest), no question." If this kind of fierce, driving empathy that incites tenacity, commitment, and action, is so powerful and so effective at motivating sweeping beneficial social change, it's crucial in today's world to ask whether that empathy can be systematically fostered. Nick Cooney is the author of Change Of Heart: What Psychology Can Teach Us About Spreading Social Change (Lantern, 2011). He's also the Director of Education at Mercy for Animals, an advocacy group working to create a society where all animals are treated with compassion and respect. Cooney's work in advocacy is fueled by his deep understanding of how powerful experiences of empathy can trigger not only lifestyle choices, but also heroism. "A lot of us are familiar with the experience we call the 'aha moment' -- that moment when suddenly something becomes clear to us that should have been clear all along. We get it, in a way that feels quite profound, and in a way that can sometimes be life-changing. When we realize on a sudden and deep level that an animal is an individual, a person, a ‘who', it can be one of those aha moments, and it can cause us to re-think our relationship with them and our life choices," Cooney said in an interview. He adds, "... that powerful sense of empathy can indeed push people not just to cut cruelty out of their own life, but to heroically try to change public policies and public opinion." 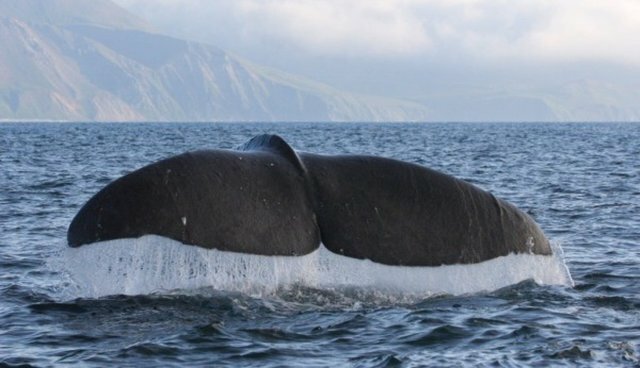 When I asked Ken Balcomb, the biologist featured in War of the Whales, what caused him to dedicate 40 years of his life protecting whales, he described his own "aha moment:"
"As a result of being fortunate in having many world class teachers, my life was dedicated to science and logic first, and empathy for the amazing whales second. The deciding moment, with respect to empathy in the Bahamas Incident (described in Chapter 1 of War of the Whales), came very early in the stranding sequence, with the first Cuvier's whale that I pushed back to sea." "My first thoughts were to try to get it into a lagoon where it could remain alive for awhile until I could summon colleagues to do hearing tests in vivo (while the animal was still alive). That thought lasted only an instant, and my second thought was to ‘collect' the specimen because surely it would die. That thought, too, lasted only an instant; and, was replaced when I smelled the breath, touched the whale, and felt it work with me in turning it back to sea -- it was a magnificent animal that had a right to live, and I was emotionally committed to help it live. At that point, I did not know of any other strandings, but as soon as I heard of others I quickly surmised what was going on and I was emotionally committed to get at the true cause and try to relieve all of them of this terrible insult to them wrought by my fellow man." "I have felt this strong empathy in other situations regarding whales -- witnessing whaling, drive fisheries, captures, etc., but on those occasions I did not then consider that I was in a position to do much about it. In the Bahamas Incident, I considered it my duty to the whales, my country, and my Navy to do something about it." The cosmos had arranged for a person of my background and ability and knowledge to be there at ground zero of a major environmental holocaust, and I could not back away from my duties. My follow up to all of this was more stubborn than heroic. I knew what was right to do, so I hung in there." But as brutal horrors are wreaked on large populations of highly social, sentient, and family-bonded whales and dolphins, change is coming. And, though this phenomenon of empathic-response-that-creates-heroes may be unreported for now, it's happening around the world...with a fierce trajectory towards the harmonious stewardship of the oceans and planet. As in every other rise for justice in history, this one is fueled by human hearts. "For me, action for change is a product of a deep-seated personal reaction like passion or outrage -- an emotional response that has directed what I do with my limited time on the planet. My advice to anyone trying to figure out what to do with their own life is to find their passion and follow it. Life is too short to waste it on anything else, and if you have the opportunity -- as I have -- to make a living doing something that you care about deeply, I don't think you'll ever regret pursuing it." "That's one of the lessons of War of the Whales. That's the reason I've fought the US Navy for so many years over its indiscriminate and reckless use of sonar. And that's why hundreds of thousands of NRDC members and activists have gotten personally involved to help with that work." "This is the essence of War of the Whales -- that societal change is the product of collective action, but collective action is the product of individual action." "That's how change happens, even if the target is the most powerful military in the world." 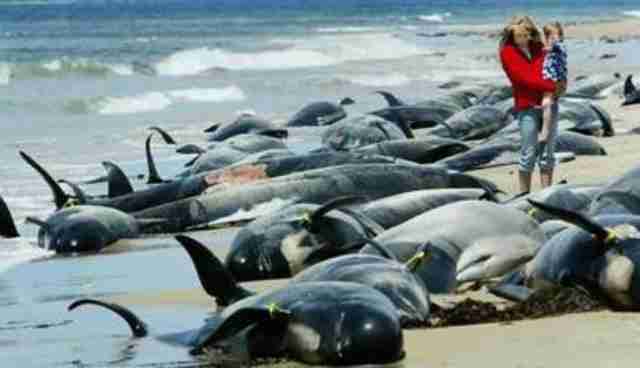 MoveOn.org Petition asking President Obama to sign an Executive Order to stop the war on whales. Order the Book, Save a Whale: When you pre-order War of the Whales here $5 goes directly the Ken Balcomb's research organization The Center for Whale Research. Or, if you are an NRDC member, you can order here and $5 will go to the NRDC Marine Mammal Protection Project. Join the Mothering Nature conversation on Facebook and Twitter, and unleash your epic force for harmony on Earth. © Rachel Clark. Reprint with the specific permission of the author. With thanks to Psychology Today for first housing Mothering Nature.